Spring is finally here and I'm switching my cosy jersey knits to pretty cotton fabrics. 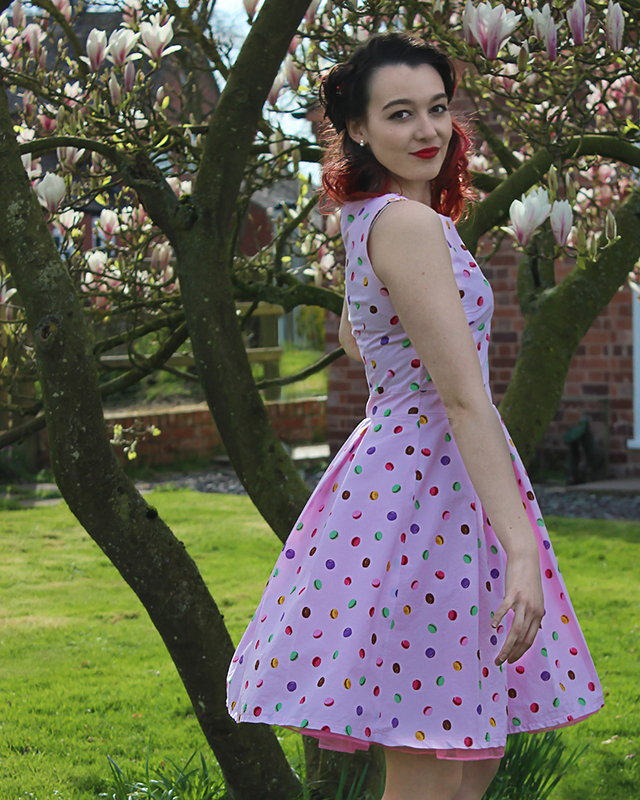 My first make of the season is the Audrey Dress: fun, flirty and full of 50's flare. My fabric choice was a cheap and cheerful cotton poplin I purchased from eBay for £4 per metre. As with many cheap cottons the fabric is quite thin and worn without a slip this dress won't leave much to the imagination, so in hindsight I should have inserted a lining. 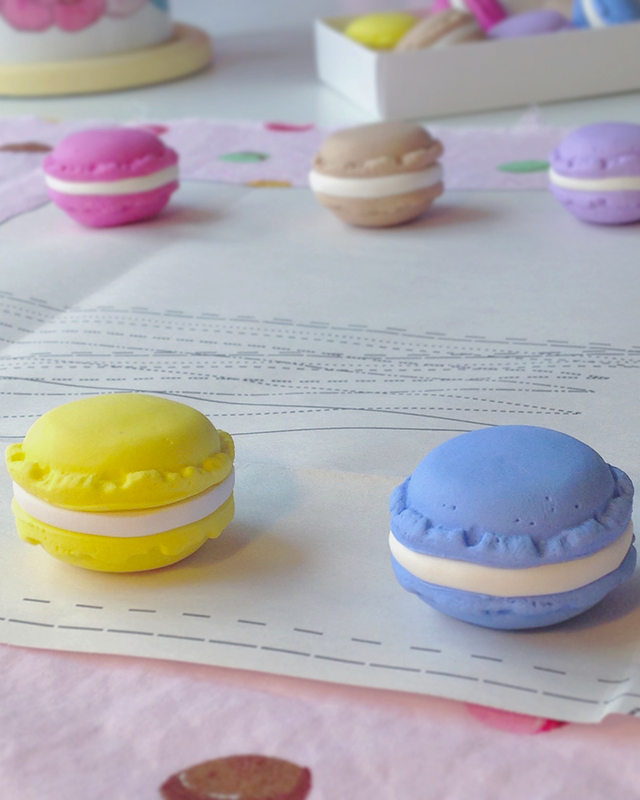 I totally bought this fabric just so I could match it to my Macaron Pattern Weights! The pleated skirt on the Audrey Dress - which came free with Issue 24 of Simply Sewing magazine - swayed me towards using this pattern, especially as I had not made pleats before. The original pattern comes in two styles; Dress A is made from one fabric whilst Dress B includes a contrasting bodice and hem band. I chose Dress A but altered the skirt pattern to exclude the hem band by attaching the band to the main skirt template with tape. I felt the hem band would disturb the print of the fabric and thought it to be unnecessary for Dress A. To me this is a perfect weekend project though I like to take my time with sewing. It's an activity of leisure to me, and is usually interrupted with trips to the kettle and cake tin! If you're a speedy sewist this could be made in a day. The clear and concise instructions allowed the construction of this dress to be relatively simple. I was unsure how well I would tackle the darts and pleats as it was my first time using these techniques, but fortunately they turned out crisp and perfectly aligned with one another. Simple Sewing magazine also included a tutorial on sewing pleats in Issue 24, though I found the pattern instructions to be well illustrated and explained by themselves. The pleats in the Audrey dress paired with a fitted bodice and waistband create a beautiful feminine shape. My only criticism of this pattern is the construction of the facing and the shoulder seams. I found this method very confusing, though I'm probably just being daft. In future, I'd look to other methods of attaching facings to a sleeveless dress as the method used seems backwards to me. Out of frustration I decided to sew the shoulders together in an unconventional manner which left stitching on show, but honestly it's barely noticeable and there have been no wardrobe malfunctions so far. Simple yet elegant, a fit and flare dress suits many colour and pattern variations - including novelty prints like this one! In the past I'd have been hesitant to use free magazine sewing patterns, I expected them to be poorly written and full of mistakes. 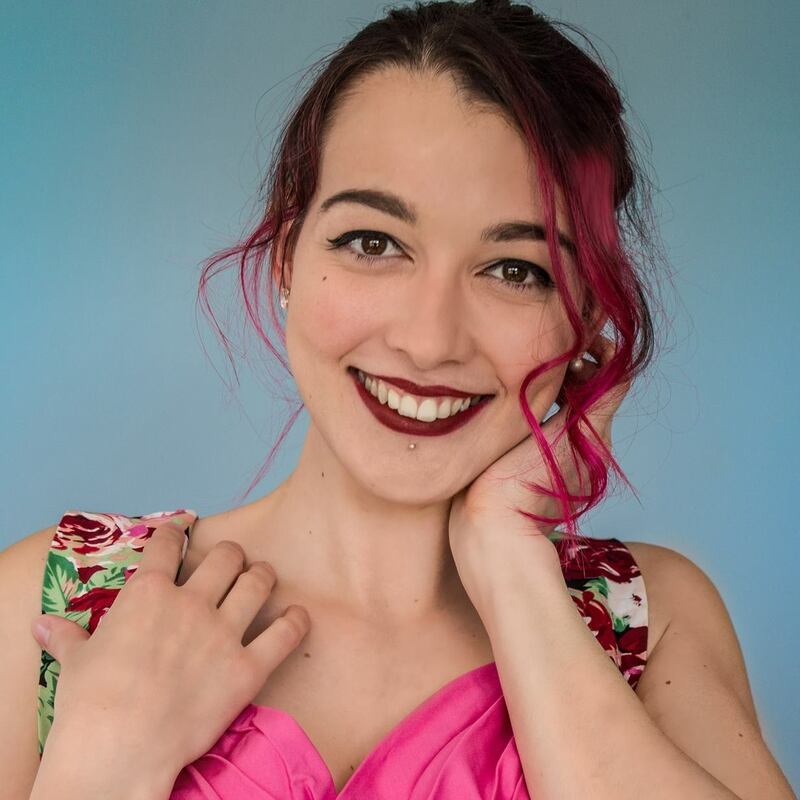 However, I was pleasantly surprised by the quality of the Audrey dress pattern and would go as far to say it was better than some commercial patterns I have used! I haven't needed to make any adjustments with fitting, though I'd probably make adjustments to the shoulder seams to stop the gaping around my neckline if I made another, but this is a problem I have with all garments. What was the first garment you've made this Spring? 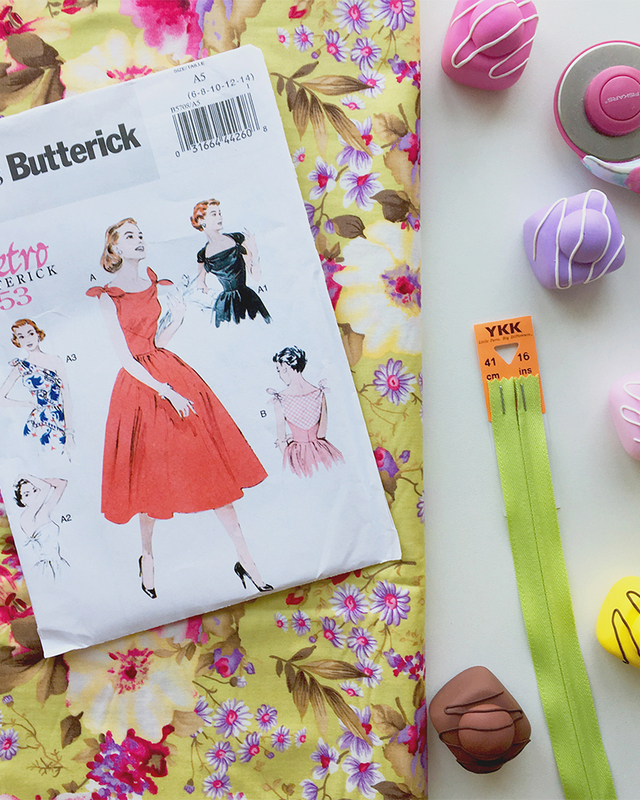 Have you made things from free magazine patterns before? What was your experience? Let me know in the comments below!